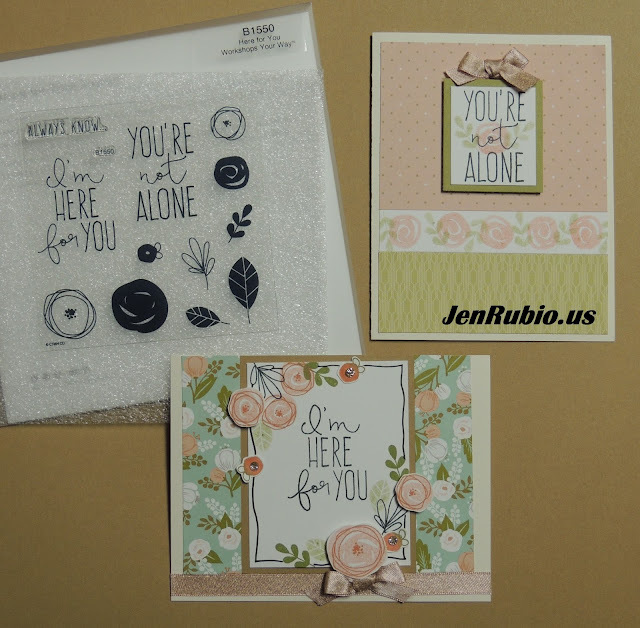 CTMH with Jen Rubio: Cardmaking Workshops Your Way Blog Hop! Cardmaking Workshops Your Way Blog Hop! soon-to-be-retiring Seasonal Expressions 1 Catalog). 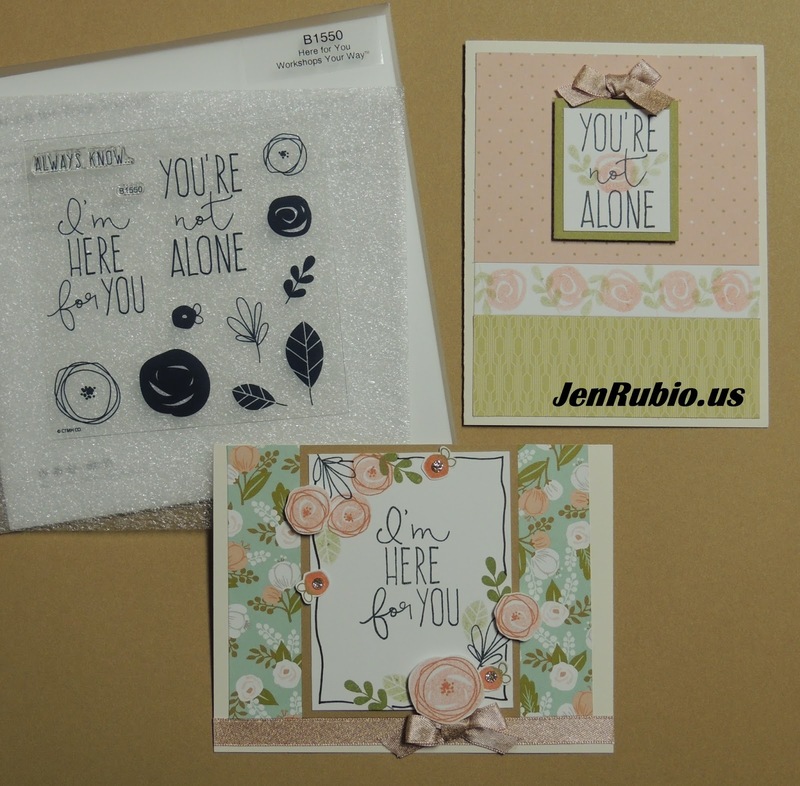 The cards I'm sharing today include a few standard-size cards I created using the Here For You stamp set from the Here For You kit (item #G1124) with the Hello Lovely papers. (with both 2nd generation and a little 1st generation inking). ...and (above) here's another card (that I shared on my blog previously) that you might want to see also, if you haven't already! (you can use this link here to see the full list of ink colors used and tips/instructions how to create it yourself). by visiting BRENDA's BLOG next! Beautiful cards! I love the border you created with the stamps. It looks like ribbon. You cards are gorgeous - pairing this set with Hello Lovely is a terrific idea as that paper pack is so perfect for these types of flowers :) Awesome work! Such gorgeous, beautiful cards! You are so creative. Beautiful cards, I love those colors! These cards are stunning, I love the doodling on the 2nd card. Great work. All your work is STUNNING! I never saw a round card as above...need to do! I find your photography so clear, great images to highlight your talent. New Card designs for the April Card Class(es)! Celebrate National Scrapbook Month - May 13th!! Upcoming April Events and Specials! April SOTM Blog Hop featuring Flock Together!